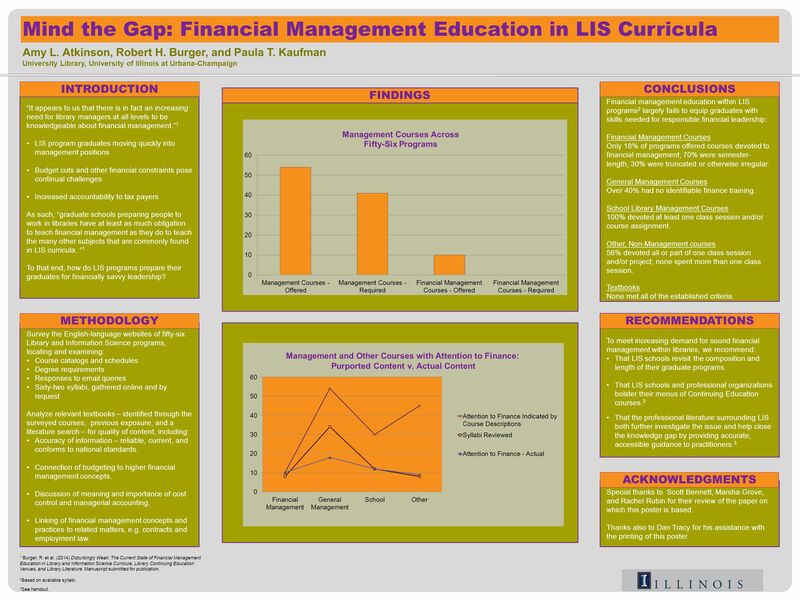 Amy L. Atkinson, Robert H. Burger, and Paula T. Kaufman University Library, University of Illinois at Urbana-Champaign Mind the Gap: Financial Management. Download ppt "Amy L. Atkinson, Robert H. Burger, and Paula T. Kaufman University Library, University of Illinois at Urbana-Champaign Mind the Gap: Financial Management." 303LON and 308LON Module Review and Your Next Steps Unit: 12. Reference Competencies from the Practitioner’s Perspective: An International Comparison Laura Saunders Mary Wilkins Jordan Simmons College ALISE conference. The Role of Library School STEM Curriculum in Academic Job Placement Kelli Trei, Biosciences Librarian, University of Illinois at Urbana-Champaign Introduction. LIFEPATH East Tennessee State University College of Public Health Tennessee. Please note: Our website changes periodically. The screen and link examples in this presentation may appear slightly differently. Harford County Public. Why Bother? The Road To A Quality Information Literacy Assessment Study. Graduate Program Assessment Report. University of Central Florida Mission Communication M.A. Program is dedicated to serving its students, faculty, the. Planning for College Planning for College Source: ACT’s College Planning Guide Copyright 2004 by ACT, Inc.
Technical Communication and Your Career C H A P T E R 1. Applied Research in Financial Reporting: Text and Cases Chapter 6 Methodology of Professional Accounting Research. Beginning the Adventure of Your Thesis/Project (SWRK500) or Advanced Research (SWRK501) & Capstone Course (SWRK502) ~ Culminating Experience ~ Prepared. Course Selection Presentation Course Selection Forms Planning Sheet Grade 10 Summary of Credits grade 11. 1 Assessment and Evaluation for Online Courses Associate Professor Dr. Annabel Bhamani Kajornboon CULI’s 6 th Intl Conference: Facing. Eliminating Exams From The Classroom: A Feasibility Study English 1800: Introduction to Professional Writing and Rhetoric By: Jessica Denn. Laneshia McCord Kent School of Social Work Reflection of i2a Class Activity. The model of consistent teaching of information literacy in online courses Faculty liaision librarians tutoring researchers and research students Vilve.